After massive demand, I have now also added my Weight of the Money trading system to the package AND my New Weight of the Money system extension pack - this is for those who want to start profiting from the exchanges from the get go. Most importantly the guide is up-to-date, and so you can milk it while the liqudity is still there (so it's time to get a drop on the competition while you still can!). How to fine tune your hit rate ...up to 90%: the hard and fast truth - ever wondered how some Betfair users get it right everytime? I wondered the same thing... and then one day it dawned on me. Let me show you the way to achieve upto a 90% strike rate when it comes to successful trades..
How to take your trading to the £200 per day level - The update you have all been waiting for! The update to my Weight of the Money system... just out! 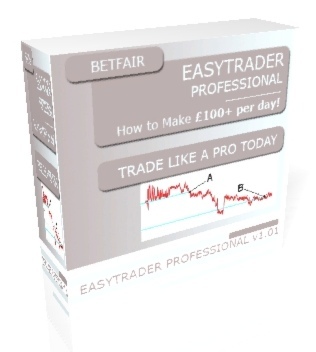 And you have to read this before you even think of trading on Betfair. 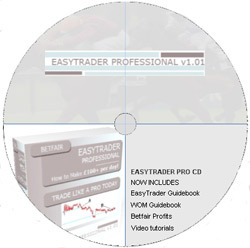 "Presenting, the most comprehensive package for trading on Betfair ever released, over 200 pages and 30 minutes of trading videos..."
Aside from being ridiculously comprehensive, the new Easy Trader Pro package is now fully up-to-date. This is a very important point, because Betfair moves fast and you need someone to tell you where the money is being made today! 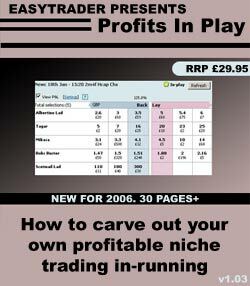 I have updated this guide and added a special bonus report (how to trade on the British horse races). This is means I come from Betfair trading from every angle, so you have multiple ways to profit - the same ones that I profit from. If you act today, you can steal the pack for a low price of $87. 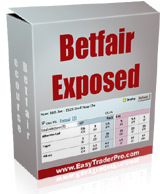 Now Instantly downloadable, so in only a few seconds you could be making job-ending cash from Betfair! !